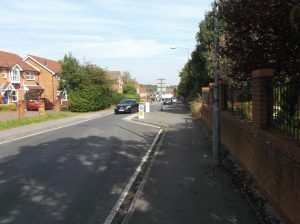 Works to install six new speed tables and improve pedestrian mobility (pedestrian dropped kerbs and tactile paving in the footway) took place on Craven Way, Longwell Green between May and September 2016. 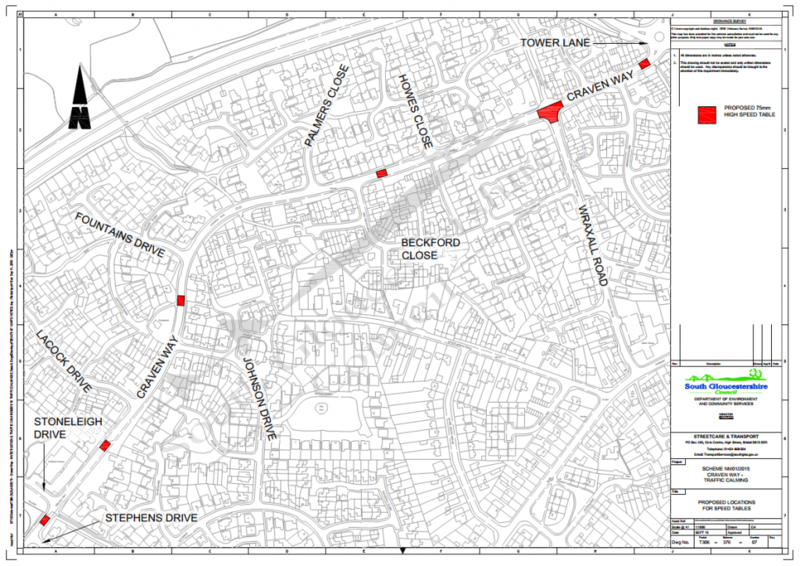 The scheme, asked for by residents, has reduced speeds by an average of 6mph. Craven Way runs parallel to the A4174 Ring Road between its junctions with Wraxall Road, (to the north), and Marsham Way, (to the south). It is a bus route, 1.2km in length and subject to a 30mph speed limit. Traffic survey data from before the works revealed typical daily traffic volumes of between 6,000 to 7,500 vehicles with 85th percentile speeds of between 28.7 and 33.6 mph, (mean average speeds between 23.6 and 28.1 mph). Pedestrian survey data reveals over 2,000 pedestrians cross Craven Way in a typical 12 hour period. Following the installation of the new measures mean average speeds of between 16.6mph and 24.8mph were recorded. In one location, south of Fountains Drive speeds have dropped, on average, by up to 11mph northbound and 9.8mph southbound. 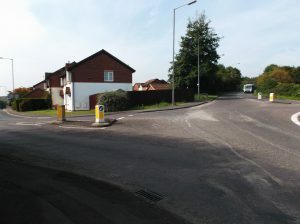 The scheme, which was selected by members at the Kings Forest Area Forum in February 2014, included the removal of two priority kerb build located at two points, approximately 550m apart – south of Lacock Drive, (single), and north of Howes Close, (double). 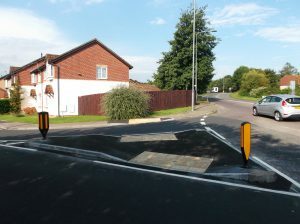 Originally constructed over ten years ago, these features had been shown to disrupt traffic flows, creating queuing traffic at peak times, whilst doing little to reduce speeds elsewhere along Craven Way. Whilst there have been just two recorded injury accidents along Craven Way in the last three years, incidents of ‘road rage’ and ‘damage only’ collisions have occurred at both sets of build outs. In addition a petition was received in September 2014 calling for removal of the build outs and new measures including speed tables and improved pedestrian crossing facilities. A scheme has been included in the Council’s Local Transport Capital Programme for which a public consultation was undertaken from 27 July and 24 August 2015. The proposed speed tables were advertised between 1 and 24 December 2015. To remove the existing build outs and provide traffic calming / speed reduction measures with new pedestrian crossing facilities. The construction phase was specifically planned around reducing periods of road closures to school holiday periods, when traffic volumes are generally lower. A shuttle bus service was also in operation during the temporary road closure periods, to minimise inconvenience to bus passengers using the 42, 44 and 443 services. Duration / completion – 16 weeks, (Monday 16 May – Friday 2 Sept 2016). Removing the existing priority build outs and all associated traffic signs and road markings. 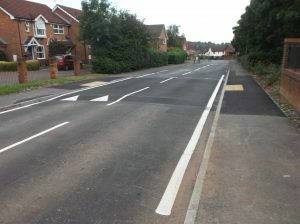 Providing traffic calming in the form of six new full width speed tables, each of which incorporate 2m wide informal pedestrian crossing points. The existing pedestrian refuge near the roundabout junction with Tower Lane will be extended and widened and the street lighting along Craven Way will be upgraded with the installation of new low energy LED lanterns in the existing column positions. Who is paying for the works? Local Transport Plan funding has been secured for scheme NM01/2015 – Craven Way – review of traffic calming features and implementation of revised scheme. £15,000 funding was included in the Council’s 2015/16 Capital Programme for design and consultation, with a further £135,000 in the 2016/17 Capital Programme for implementation. Removing the existing kerb build outs will reduce the associated traffic queuing, especially at peak hours, whilst the proposed speed tables will improve road safety by encouraging speed compliance and providing improved crossing facilities for pedestrians. The widened pedestrian refuge and upgraded street lighting will provide similar benefits.